VP of Marketing of Dark Horse Matt Parkinson was joined by his counterpart at IDW, Dirk Wood. The pair had plenty of annuncements to make as well as taking the time to answer con attendees questions. The big announcement for fans was that the two indie publishers will be collaborating on the future cross-over project Star Trek and Aliens. But Aliens news doesn’t stop there as Dark Horse celebrates the films 30th anniversary with new collections of the long-running series are being released. Dark Horse and IDW are both known for their licenses that they have. IDW has begun their work on what Wood dubbed the “Hasbroverse,” a series of comics that tie into many of Hasbro’s big titles, including Transformers and GI Joe. The book, called Revolution, is already in comic book shops. 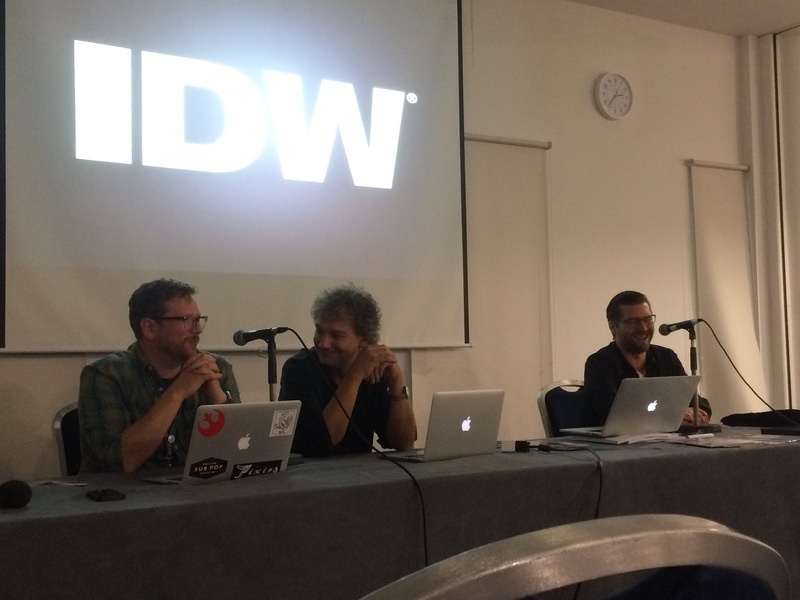 Another great announcement from Wood (which made much of the audience quite happy) was saying that IDW is working on creating their own television shows, which already includes an Elijah Wood-fronted version of Dirk Gently. But also in the pipeline is an adaption of the Eisner award-winning series Locke & Key. After two failed attempts to get the show adapted, Wood said the company decided to keep all the rights in the company and do it right. Joe Hill has apparently already written some scripts. Parkinson had plenty of news pertaining to the popular series Hell Boy, including a short series that will be a spin-off. 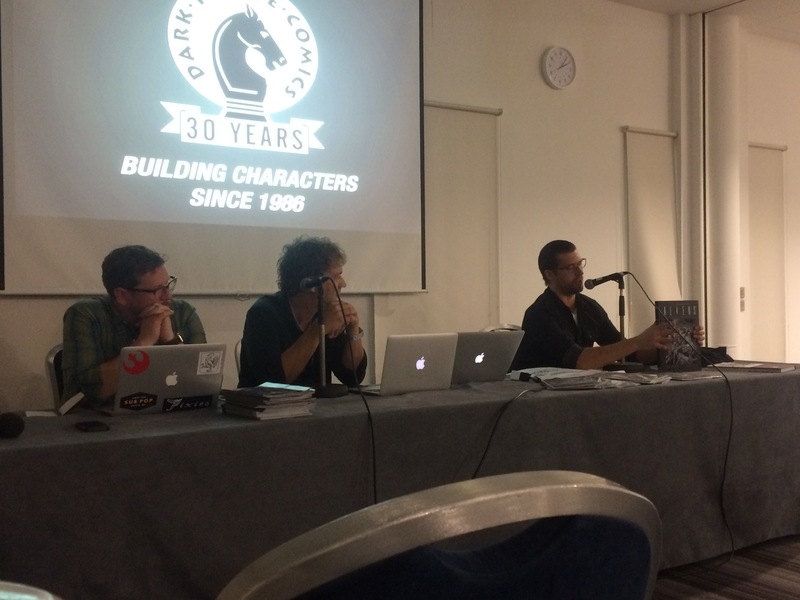 Also in attendance at the panel was the Deputy Executive Director of the Comic Book Defense Fund, Alex Cox. Cox spoke about the work the CBDF was doing in their 30th year, as well as their future projects in the UK, Raising a Reader. Great to see people fighting the good fight for freedom of speech back in the US of A.
It’s always great to have these guys back. They’re friendly and clearly would take all the time they could to answer questions. Plus they had plenty of free goods. More comics at the comic con, please!